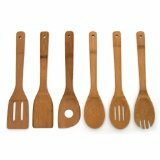 Lipper International 826 Set of 6 Bamboo Kitchen Tools, in Mesh Bag – $7.13! Lipper International 826 Set of 6 Bamboo Kitchen Tools, in Mesh Bag – $6.98! Set of 6 Silicone Spatulas – $6.99! Vktech 6pcs Tweezer Kit – $2.99! Free shipping! 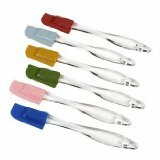 Set of 6 Silicone Spatulas – $6.26! 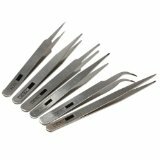 Vktech 6pcs Industrial Anti-static Tweezer Maintenance Tool Kit – $3.00! Free shipping! StanleyStandard Fluted Screwdriver Set, 6-Piece – Just $4.47!